industry with innovative ignition systems and components. DistributorsEvery ICE distributor features a CNC machined 6061 aircraft grade aluminium body, a hardened and precision centreless ground 4130 chromoly shaft, high temperature upper roller bearing and oil impregnated sintered iron lower bush. 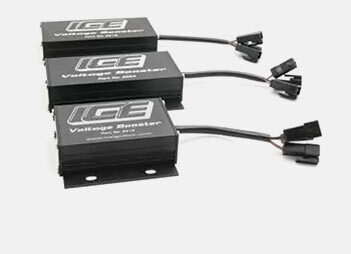 Voltage BoostersMany automotive and marine applications are not capable of maintaining consistent peak voltage required to operate performance ignition systems at maximum efficiency. This is a particularly common problem when an alternator is not used and the vehicle relies solely on battery voltage. Ignition CoilsICE has designed the ultimate ignition coil for sustained high voltage delivery in the most demanding operating conditions. 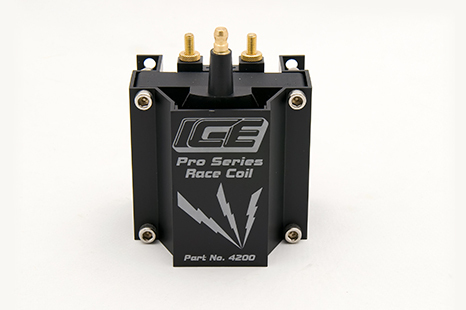 ICE Pro Series Race Coils feature an integrated extruded alloy mounting bracket and protective case. 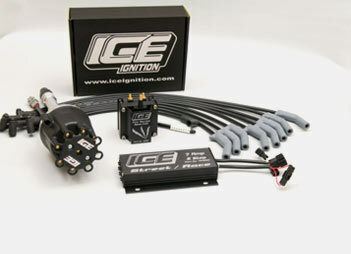 ICE Ignition specialise in innovative ignition systems and components for the performance car & marine industry. Manufactured in Australia and with over 20 years of experience, we deliver ignition systems with greater performance and reliability for naturally aspirated, nitrous and forced induction carbureted engines as well as EFI equipped engines. Top US engine builders recognized the ICE Ignition power potential some years ago and many Engine Masters competitors - including multiple winner Tony Bischoff have chosen ICE Ignition over all alternatives to maximise power and torque. In fact, since ICE Ignition has been involved with this event, its products have dominated on the winning engines. ICE Ignition has been used to power winning Chevrolet, Chrysler, Ford and GM LS engines, with both carburetted and EFI combinations. 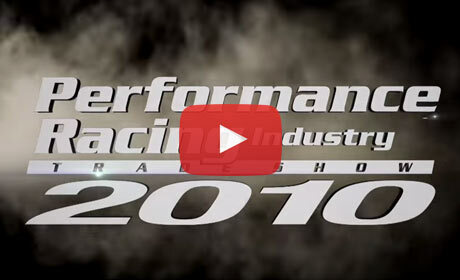 Racers in both Australia and the US use ICE Ignition to achieve results. Record holders such as Wade Owens (US) and Shane Baxter (AUS) rely on ICE to give them the ultimate spark energy. Digital Inductive Spark (DIS) is the unique spark generation technology developed by ICE engineers that delivers increased power and consistency through changing conditions, providing superior performance when it counts.